The NetSupport team will be in San Antonio, Texas, at the TCEA Convention & Exposition on booth 753. Taking place at the Henry B. González Convention Center from February 4-8, 2019, the event allows thousands of educators to discover the knowledge and resources they need to engage students, enhance curriculum, and increase productivity. TCEA’s 39th annual convention will showcase 1,000+ informative sessions, hands-on workshops, and access to the latest edtech resources from hundreds of exhibitors including NetSupport. 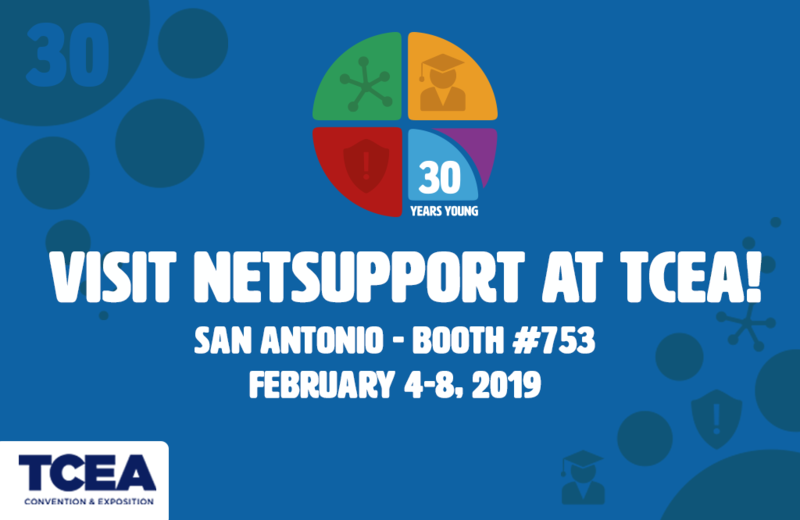 Visitors can view demonstrations of NetSupport’s award-winning solutions including IT asset management tools, classroom management tools and internet safety tools – all on booth 753.